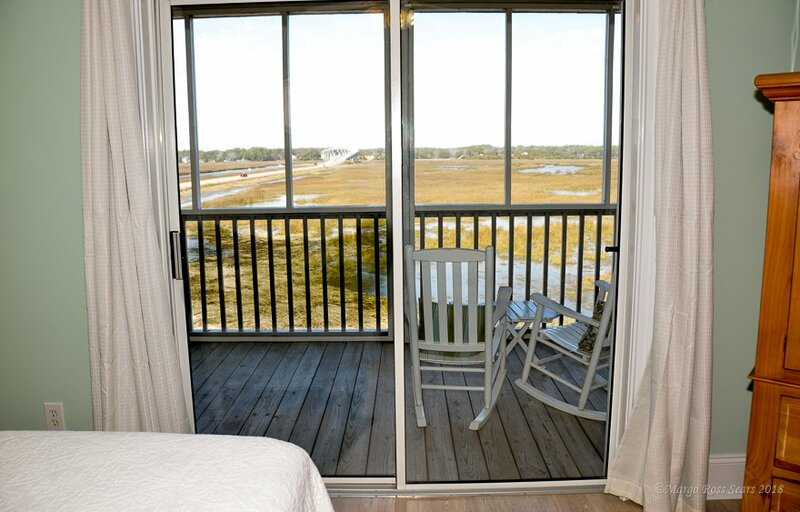 The Azalea Room soothes away worries with soft pastel colors that mimic the spring blooming shrubs abundant in the south.Located on the 2nd floor level, the private screened porch with rocking chairs allows for amazing views of the marsh & sunsets. 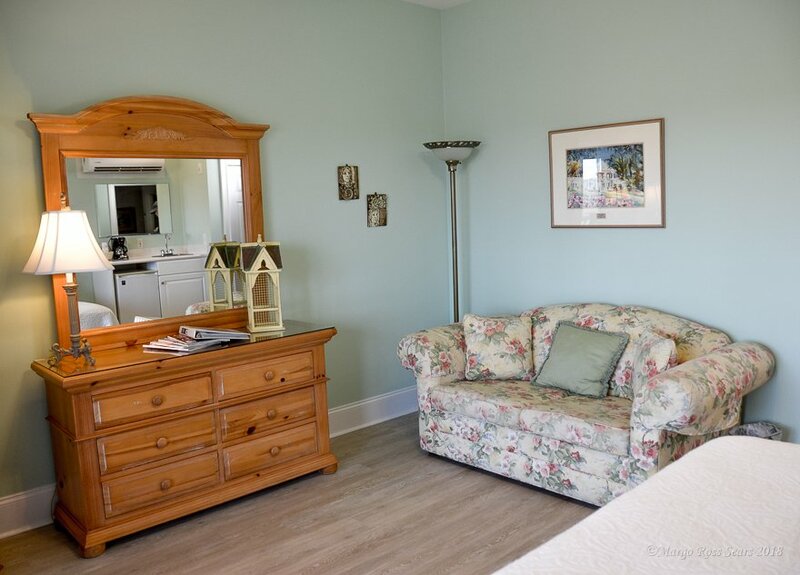 The Azalea Room is decorated with golden honey pine furniture and artwork displaying the flowering beauty of Azaleas. 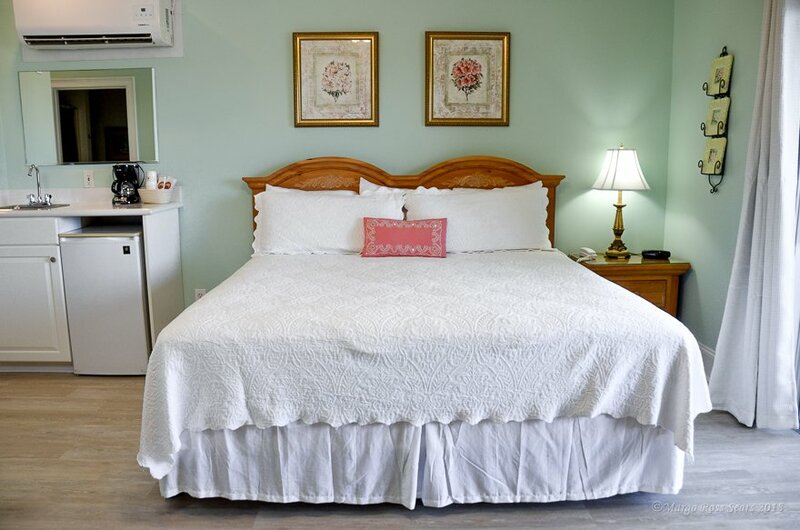 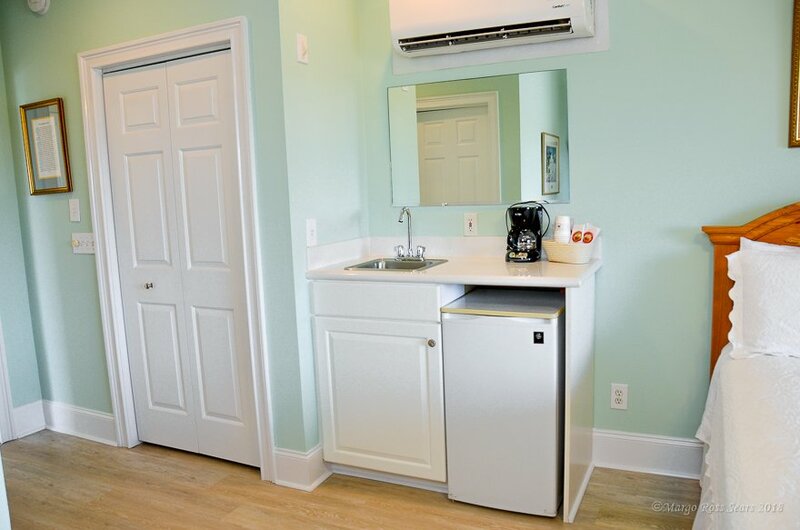 Make special plans to enjoy The Azalea Room during the first week in April while you visit The Azalea Festival in Wilmington, which has been a popular event for over 60 years. 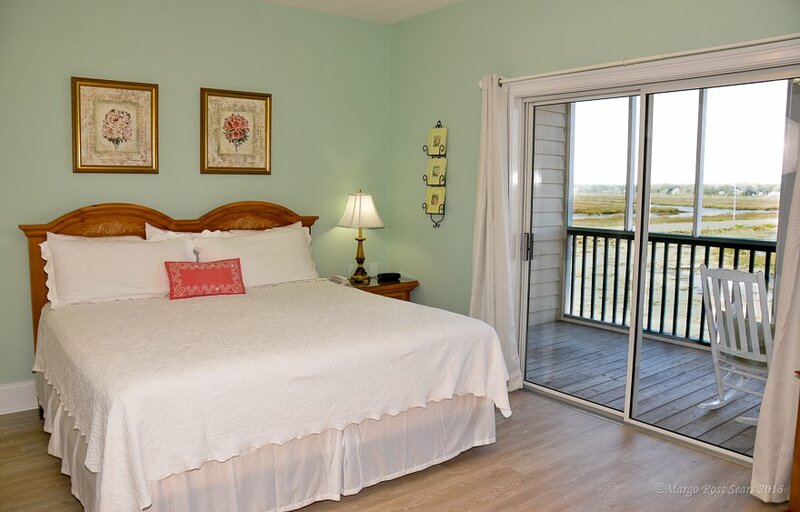 This room is located on the top floor directly in the middle of our Hotel in Sunset Beach NC.